After we left Wheems Organic Farm and caught the ferry back to John O' Groats, we were headed West. We drove along the northern coast of Scotland stopping here and there to admire the scenery. The northern Highlands are absolutely stunning. 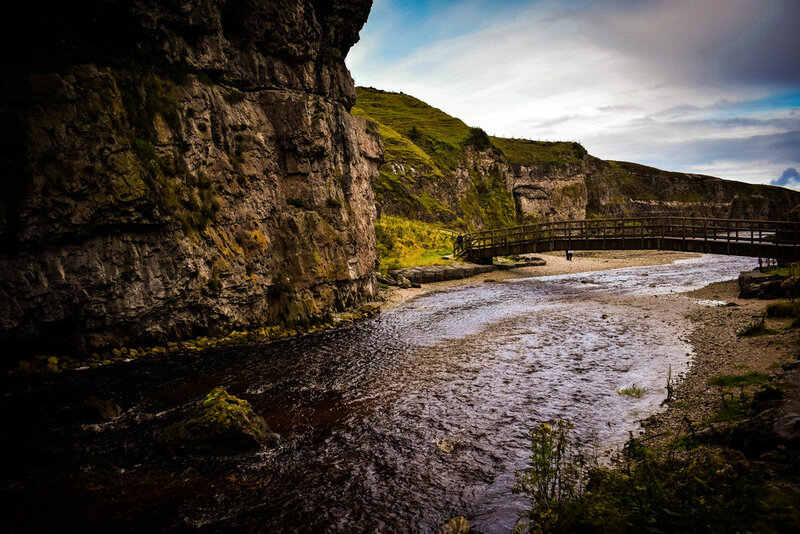 Along the way across the northern coast of Scotland, we stopped at the Smoo Cave near Durness. The name Smoo is thought to have come from the Norse word "smuga," which means hole or hiding-place. 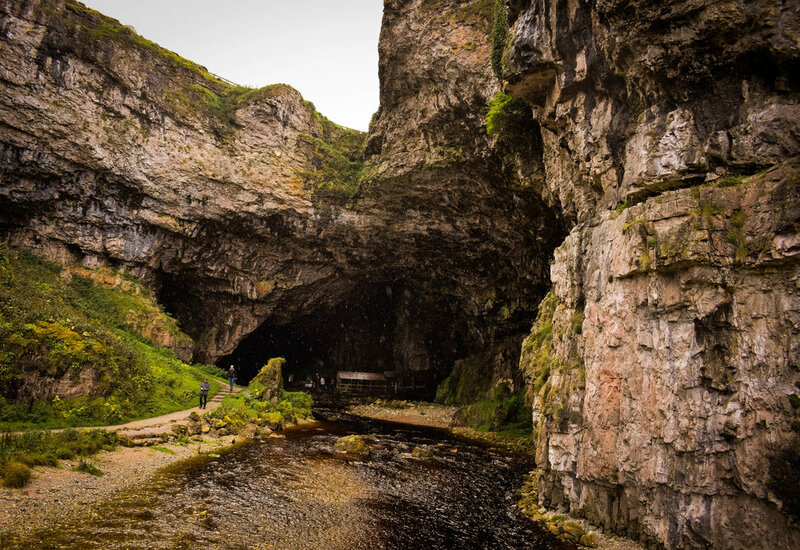 Archaeologists have discovered Neolithic, Norse, and Iron Age artifacts within Smoo Cave. 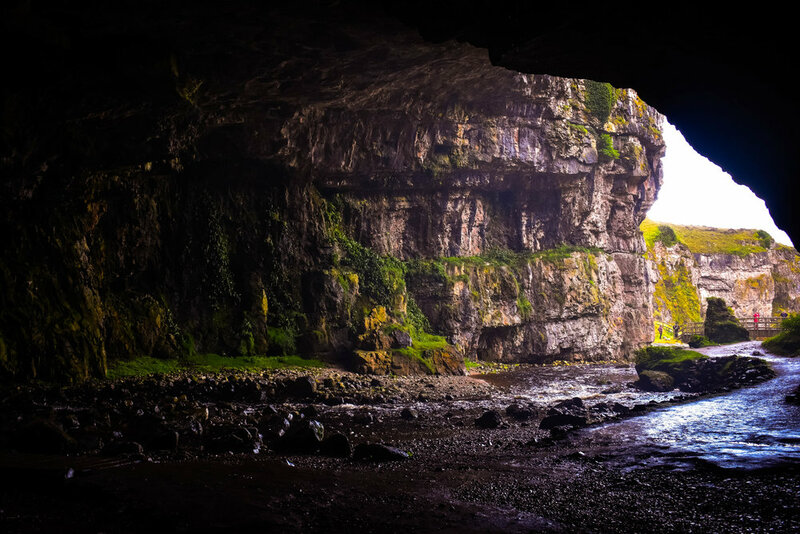 This huge cave has an entrance that is around 130 feet wide and 49 feet high. Getting to the cave is relatively easy. There is a parking lot and bathrooms right off the main road, then lots of stairs down to the cave. It's easily accessible if you're good with the stairs. During the summer months they offer tours of inside the cave by boat. We decided to just spend our time exploring around the cave and inside the main cavern. Some people might say that it's a cliche to say, "it's not the destination, it's the journey." But the thing is with cliches, is that there is usually some truth to them. Our drive through the Northern Highlands was one of those journeys. Some of my favorite memories throughout our entire adventure through the UK, were those hours spent in the car with just me, Dan, and the open road. Every time we went around a curve of a mountain, it was another incredible view of more mountains, waterfalls, and wild Scotland. We didn't have an exact plan as to where we were going to sleep that night. 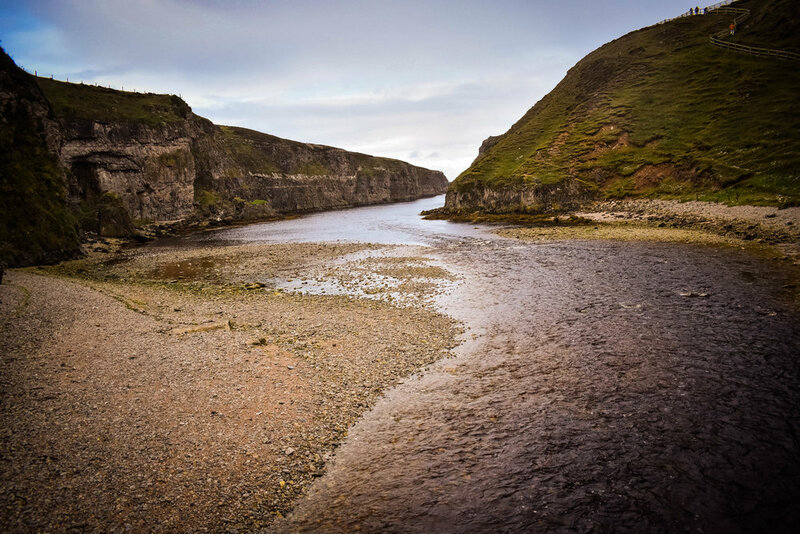 We stopped at a few places and thought about hiking around to find a good spot to wild camp, but of course we happened to encounter the dreaded midges as soon as we stepped out of the car. After our last midge experience when we were camping at Corrour Station, we weren't willing to risk it. Instead, we decided that this was the perfect night to treat ourselves to a comfy bed, a hot shower, and if we're lucky, maybe some clean laundry! We continued our journey to Ullapool and we were lucky enough to grab the last vacant room at the Ardvreck House. It is an adorable B&B on the north side of Ullapool with stunning views of Loch Broom. The girl who checked us in was so friendly and sweet. We asked if they had any laundry facilities on site so we could wash some of our clothes. Instead, she said that they would do a load of laundry for us and have it ready in the morning. I cannot tell you how much fresh laundry meant to us after sleeping in a tent for five nights. After we got settled in our room, we went into town to explore Ullapool and find something for dinner. Ullapool is an adorable small fishing town on the western coast of Scotland. It has the small town charm you'd expect, but it also has restaurants and hotels to accommodate tourists taking the ferry to the islands. We ended up at The Arch where we enjoyed some whisky and fresh local mussels. It was the perfect end to a perfect day. The next morning we were able to enjoy a wonderful Scottish breakfast with views overlooking Loch Broom and Ullapool. Then it was time to catch the ferry to the Outer Hebrides - starting with the Isle of Harris!